I love making cards to sneak into my husband’s lunch or laptop bag for him to discover at work. This love you to pieces card is perfect for Valentine’s Day or any time that you want that special someone to know that you care. 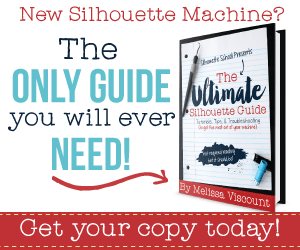 This project takes minutes to make so it’s perfect for this Valentine’s edition of Craft Lighting (projects that can be made in 15 minutes or less) hosted by 30 Minute Crafts, 100 Directions and The Country Chic Cottage. Buy and download the love word puzzle shape from the Silhouette online store. I sized the design to fit on an A2 sized card in SS. Then I used the Silhouette Portrait, mat and SS to cut out the love puzzle pieces: pink card stock for the L, V, E and red card stock for the heart. Next I used the pieces I punched out of the cut designs to cut card stock slightly bigger to go behind the open spaces for the L, V, E and heart. The Xyron 510 Creative Station and permanent adhesive is awesome for cards and scrapbooking because it adds adhesive to the entire backside of a piece of card stock or paper. I used it to add adhesive to the puzzle pieces. Then I added the smaller pieces of card stock to the back of the puzzle pieces to fill in the negative space. I used ATG adhesive to adhere the large pieces of card stock and scrapbook paper. Next, I added the puzzle pieces and wrote “you to pieces” on the bottom of the card. I know some people don’t like to use their own handwriting but I think it adds a significant personal touch. I’m not sure if I will give this love you to pieces card to my husband for Valentine’s Day or our anniversary. Adorable! Saved the instructions, and bought the file. Yea! Thank you! Yay! I’m glad you liked the card Peggy. Enjoy. Kelly I love you to pieces! This is so cute! Very cute, and easy to follow instructions! 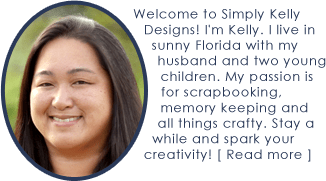 Super cute Kelly– and you are a thoughtful wife!